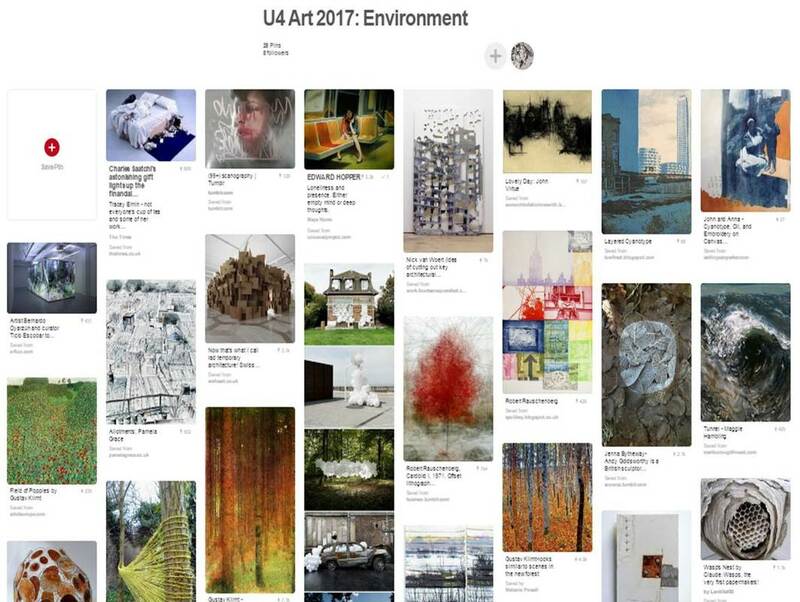 Environment is the 2017 title for the A level Fine Art exam project (Unit 4). You will have a period of 8-10 weeks (plus the Spring half term and Easter holiday) to develop your ideas through preparatory studies before spending a day in the Art department realising your final outcome as part of the 15 hour, controlled assessment. You should aim to be ambitious in your final outcome and presentation. Ensure that you have satisfied each of the Assessment Objectives by the end of the project. See the PP below.